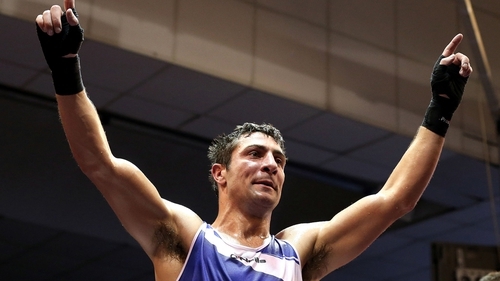 Taoiseach Enda Kenny has confirmed Olympic boxer Kenneth Egan is considering running for Fine Gael in the forthcoming Local Elections. Mr Kenny said the party was in discussions with the former athlete, but that negotiations had not been concluded. It is understood Mr Egan could run for Fine Gael in the Clondalkin ward in May's elections. Mr Kenny paid tribute to the boxer, who he described as "an outstanding athlete and ambassador for Ireland". "It is not concluded yet, but the party is talking to him," Mr Kenny said. Mr Egan won a silver medal in the light-heavyweight boxing final at the 2008 Beijing Olympics. He announced his retirement from boxing last February.